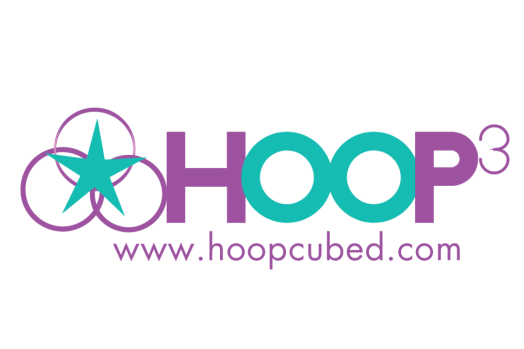 DIY Hoop - Hoop Cubed- Hoop Dance Classes in Houston! Creating your own hoops is a fun, cost effective way to always have enough hoops for your practioners. The hoops in this lesson are your basic “black tubing” hoops that are great for on body hooping (waist, shoulders, chest, legs), or for toning up and working those arms! A pipe cutter. These are available at any hardware store or online. Pipe cutters give a clean, accurate cut, and are very easy to use. Connectors. These are the gray, plastic small tubes that connect the two ends of the hoop together. Tape. This is the fun part! Get creative, you can use athletic tape, duck tape, electrical tape. First thing you will want to do is figure out what size hoop you want. For adult sized hoops, you will want the hoop to come up to at least the belly button. Remember, the larger the hoop, the easier it is to keep it up. Your best bet is to have lots of different sizes for your practioners to choose from. So if you want the diameter of your hoop to be 42” (a typical adult sized hoop), 42 X 3.14 (Pi)=131.88, rounded up to 132”, this is how many inches of tubing you will cut. Your next step is to connect the two ends of the hoops together. This can be a bit of an art, and may take a few hoops to get it down. Luckily, making hoops is so fun and addictive! To get the connectors in, you will have to heat up the tubing, either with a hair dryer or an old, no longer in use, electric kettle. You can often find these at yard sales, etc. So working with one end at a time, heat up the tubing (I do about 80 seconds with the hair dryer, 25 with the kettle), and push the connector half way in. Do the same on the other end, and ta da! You have a hoop! At this point you can pick your tapes and get as creative as you like.